The Aboriginal Employment Strategy (AES) is one of the latest Aboriginal businesses to become a member of Supply Nation and take advantage of the opportunity to connect with Indigenous business owners. The AES registered with Supply Nation in November 2015 and now appears in the Indigenous Business Directory. Supply Nation is an initiative that pairs Aboriginal owned businesses with Government and corporate contractors. Founded in 2009 (then known as the Australian Indigenous Minority Supplier Council), the Federal Government made an initial $3m investment to pilot AIMSC over three years. Following the three year pilot period AIMSC was rebranded to become Supply Nation. Funding was extended under the Abbott Government and Prime Minister Malcolm Turnbull has since set a target of Indigenous-owned businesses representing three per-cent of companies with Government contracts by 2020. “Becoming an official part of Supply Nation was a really exciting move for the AES,” says Kristy Masella, AES Chief Executive Officer. In May 2016, the AES will participate in the latest Supply Nation Connect Tradeshow where the organisation will meet and network with businesses in order to provide AES career seekers and students with new and diverse career and traineeship opportunities. Kristy points out that just because a business has the word ‘Indigenous’ or ‘Aboriginal’ within its name does not mean that the business is owned by or employs Indigenous people. This emphasises an important function of Supply Nation in facilitating more transparent engagement with the Indigenous business sector. “It’s great now that corporate Australia can quickly and easily navigate their way straight to Aboriginal businesses,” says Kristy. “Another benefit is that the AES too can gain access to key Aboriginal service providers, we want to give our business to Aboriginal suppliers as well. From Supply Nation’s perspective, having the AES involved can only help to grow the Indigenous business sector and improve Indigenous employment opportunities and economic participation. “Having a wide range of different Indigenous owned businesses is important to drive our vision of a prosperous, vibrant and sustainable Indigenous enterprise sector,” says Leah Armstrong, Chairperson of Supply Nation. Ms Armstrong says that Supply Nation has seen significant growth recently from both the corporate and Government sectors. The number of Indigenous business registered with Supply Nation has now doubled to over 920 in the 2015-2016 financial year. Aboriginal and Torres Strait Islander business growth and development stands to play a pivotal role in the advancement of Indigenous communities and in closing the health, education and employment gaps. 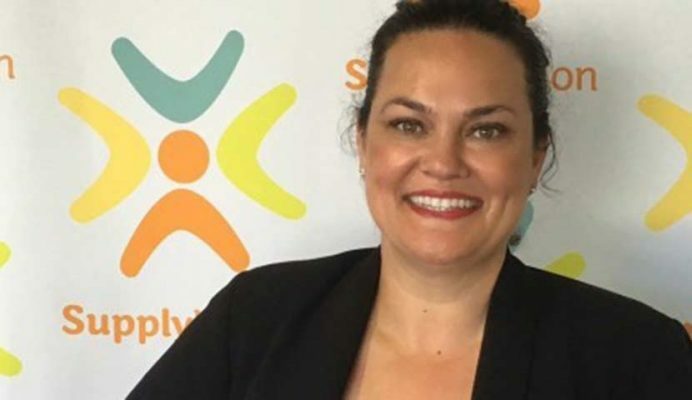 Kristy is confident the growth of Supply Nation and their work with the AES will continue to produce positive and tangible outcomes for Indigenous business owners, job seekers, and Indigenous communities as a whole, both in the short and long-term.